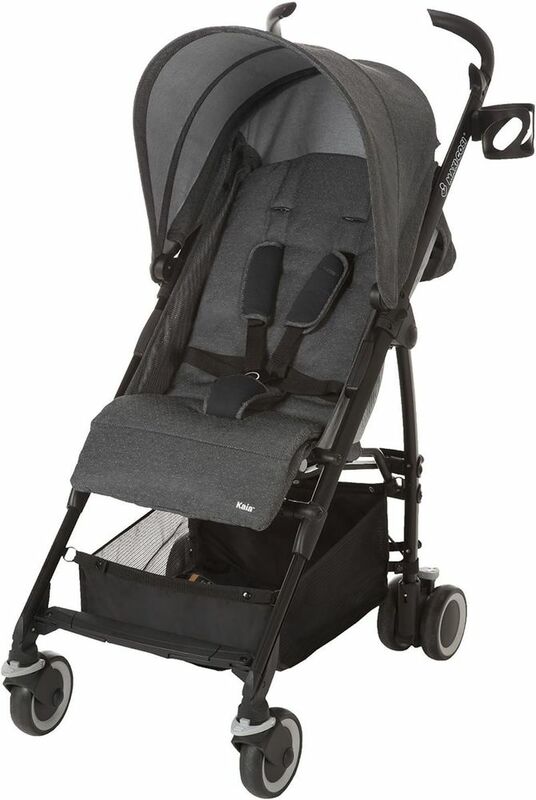 Stroll through the day with this lightweight, compact stroller that is easy to fold for upright storage or placement in your vehicle's trunk. With a multiple-position recline and adjustable leg rest, the innovative design provides maximum comfort, while a retractable canopy protects from harsh sun rays. A cup holder is the perfect place for you drink during walks and the shopping basket offers handy storage for your diaper bag and other essentials. 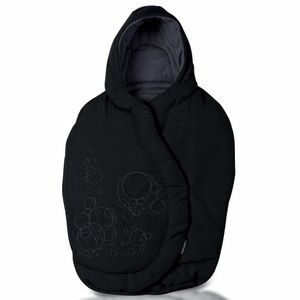 Special sweater-knit fabric helps to keep baby comfy and cozy. Dimensions: 26" x 20 1/2" x 41". Easy, compact fold – stands when folded. 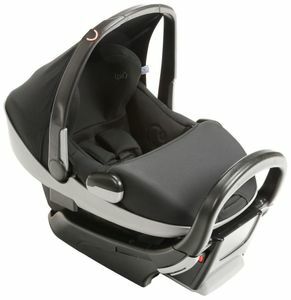 Multi-position reclining seat with padded five-point harness for safety. Adapters included for Maxi-Cosi Mico and Prezi infant car seats for use from birth as a compact and maneuverable travel system (car seat sold separately). 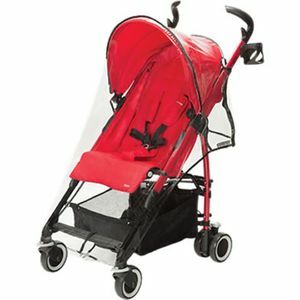 Canopy shades and protects from bright sunlight. Parent cup holder; convenient shopping basket.